Jessica is an associate lawyer with Davidson Houle Allen LLP. 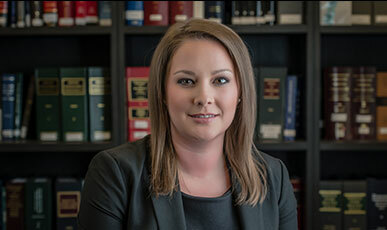 Prior to joining Davidson Houle Allen LLP in 2018, Jessica practiced with a boutique condominium law firm in Toronto. In her practice, Jessica advises clients on all facets of condominium law including corporate governance, compliance matters, drafting and interpretation of by-laws, rules, Amendments to the Declaration, shared facilities agreements and any other documents necessary for the successful governance of the condominium. She enjoys finding practical solutions for her clients and working with them to build stronger and more amicable condominium communities. Jessica received her J.D. from Queen’s University, where she graduated on the Dean’s List. She has a Bachelor of Arts (Honours) from Queen’s University in Global Development Studies and Political Science. During law school, Jessica was a Project Lead for Pro Bono Students Canada and acted as representative on the Queen’s Law Students Society Council. She spent a semester of her final year studying at the National University of Singapore, Faculty of Law. Outside of the office, Jessica enjoys travelling, reading and trying out new restaurants. The New Condominium Authority Tribunal Rules Are Out! What Happens If Your Condominium Corporation Does Not Register With the CAO? Are There Any Exceptions to the Requirements in the New Condominium Act?